As has been widely reported, the Defence Ministry announced earlier this week that 2,000 suspected terrorists ahve been killed in drone strikes, and only 67 civilians. 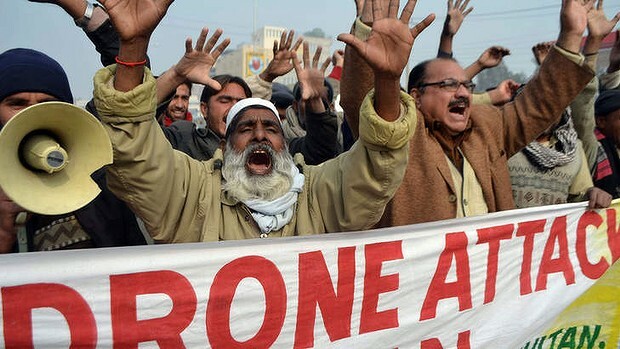 The Ministry then went further and stated that no civilians have been killed in drone strikes since January 2012. While many have questioned these numbers, they do reflect what the military has been saying also. Secret documents released by Wikileaks exposed that COAS Gen Kayani had actually requested the US to increase drone strikes as far back as 2008, and in 2011, General Officer Commanding 7-Division Maj-Gen Ghayur Mehmood briefed reporters that most of those killed in drone attacks were terrorists. In 2007, one missile strike left one militant dead while the year 2010 was the deadliest when the attacks had left more than 423 terrorists dead. In 2008, 23 drone strikes killed 152 militants, 12 of them were foreigners or affiliated with Al Qaeda. In 2009, around 20 predator strikes were carried out, killing 179 militants, including 20 foreigners, and in the following year 423 militants, including 133 foreigners, were killed in 103 strikes. In attacks till March 7 this year, 39 militants, including five foreigners, were killed. When the Prime Minister traveled to Washington, DC to meet with President Obama, however, he was sent on a mission to demand an end to drone strikes which are supposedly counter-productive and killing many civilians. Whether or not the average Pakistani is aware of what the military is saying behind closed doors, the American President surely is, and when he hears us asking for both increased drone strikes and an end to drone strikes, the result is that he just stops listening. Meanwhile, the Prime Minsiter was in the headlines again after announcing on Thursday that talks with TTP had begun. This was previously unknown, apparently, even to TTP. Before we can ask what is the truth, we need to ask why it is even a question. It has been noted many times that anyone can find support for any position on the internet, but usually it doesn’t come from the same source! Why is the military and the government telling us two opposite things at once? What is the truth? To find an answer, we can probably look at the audience. When speaking in private, drones are good (or at least a necessary evil). Admitting this puts us in a weak position with the Americans, though. In order to strengthen our hand, the same people who privately approve drone strikes with their American counterparts tell us that drones are bad. This way they can play both sides, continuing to cooperate with American drone strikes, but strengthening their hand in negotiations by whipping up anti-American sentiment at home. There is a fatal flaw to this strategy, though. Since the past few years, the internet has made it harder and harder for governments to keep secrets from their people. The American people have learned that their own military is spying on them, and we have learned that our own military actually supports drones. By playing both sides, the Americans don’t believe anything they say…but of course we don’t either. The time has passed when official agencies could get away with lying to their own people. We are living the result of this failed strategy, and it’s time to change it. If we can’t be honest about the problem, we’ll never be able to find a solution. Let’s stop killing ourselves with cleverness, and just admit that we have a problem. That’s the first step towards recovery. This entry was posted in Blogs and tagged anti-Americanism, drones, military by Mukhtar Ahmed. Bookmark the permalink.